I just absolutely love this series! The magic, the romance, the fighting, it had a little bit of it all. Rebecca definitely doesn't disappoint with the fourth in the series. Soul of Flame just makes me even more excited to see how everything will end. Now, for the first two books I was 100% a team Ryland fan, but after the third and now reading the fourth I do believe Ilyan and Joclyn belong together. They are each other's strength, each other bright spot in a dark room and they definitely show that throughout this book. 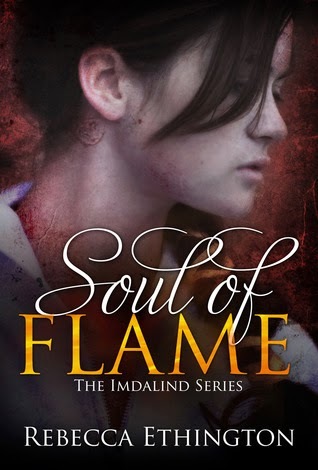 Plus with Joclyn she learns to become so much more independent and strong in Soul of Flame and I loved that. Everything about Ryland just breaks my heart. The fact that he's so broken. How he suffers so much and yet still has a heart inside him. The ending scene with him just killed me. I heart Ryland! Always and forever a Ryland fan!! As for the story, I feel like it revolved a lot around Ilyan and Joclyn. Romance was a big part in this installment, which I'm totally okay with because Rebecca Ethington did it flawlessly. See, in the first two books of the series I was completely team Ryland and yet now I adore llyan for Joclyn. Ilyan and Jocelyn's development is written really well. As for the battles... they are definitely epic and I know there is a lot more to come in the final book. Overall another great book from Rebecca. 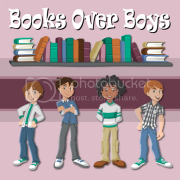 I love Joclyn & Co and cannot wait to see what they will all go through in the last book.